With Inspiration coming from contemporary art "Piet" is a towel that will bring color to life as you decorate your space. It is a dry touch towel using thick pile linen yarn mix making an excellent water absorption and quick drying towel. The beautiful array of colour design changes the appearance when folded , stored, and when hung on a wall, so you can enjoy various expressions. Color is three colors of blue red yellow. The XL size is a large size that fits the body comfortably. The bath mat is recommended for everyday use as well as its soft feel and compact size. 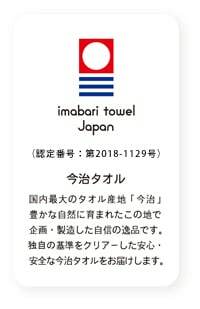 XL and M sizes are Imabari towel brand certified products.